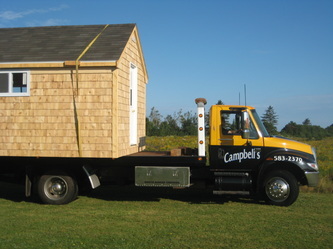 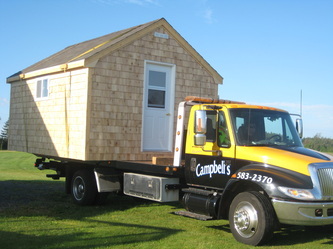 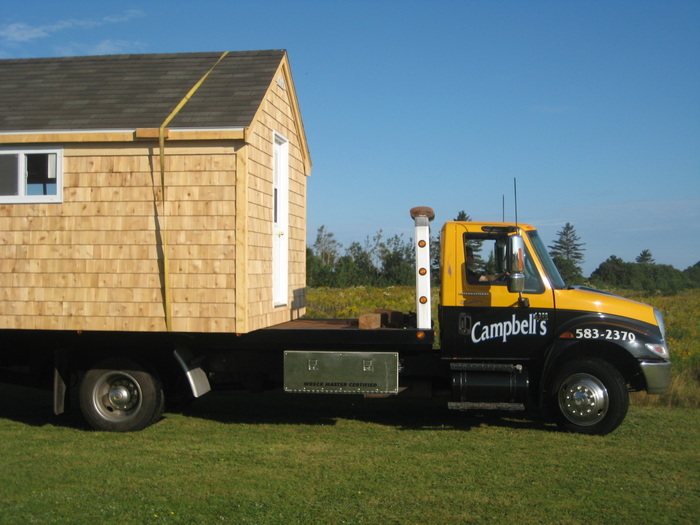 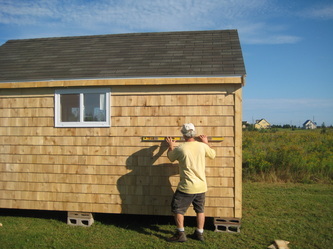 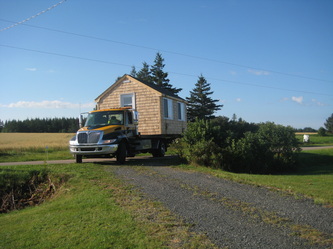 MacDougall's Lumber Shacks takes care of all delivery arrangements. 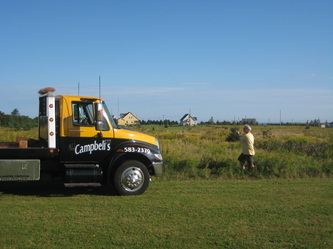 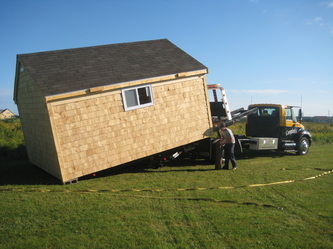 We see that your building gets delivered when you want, and ensure that it's in place and leveled properly. To contact us, click here! 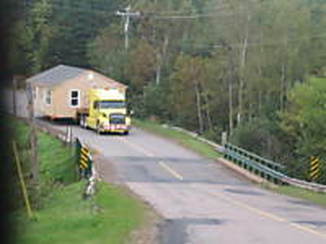 We need a prepared site for a cabin! After arranging a mutually convenient delivery time, we ensure your building is securely fastened to our delivery truck, and then bring it over to your site! 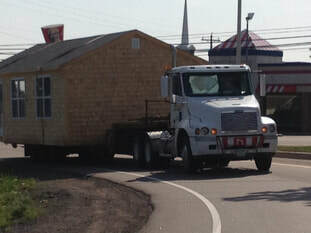 Of course we have to make a stop at Kentucky Fried Chicken! 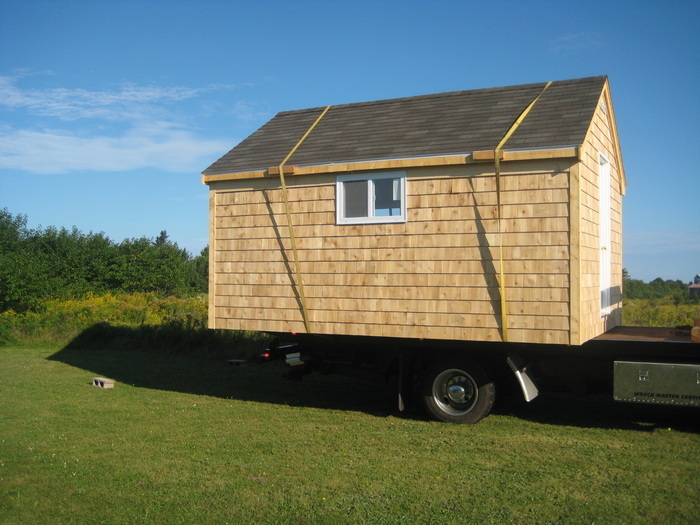 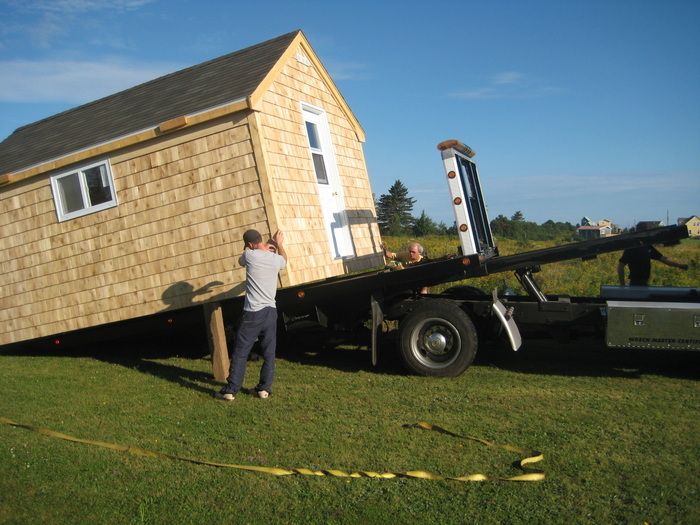 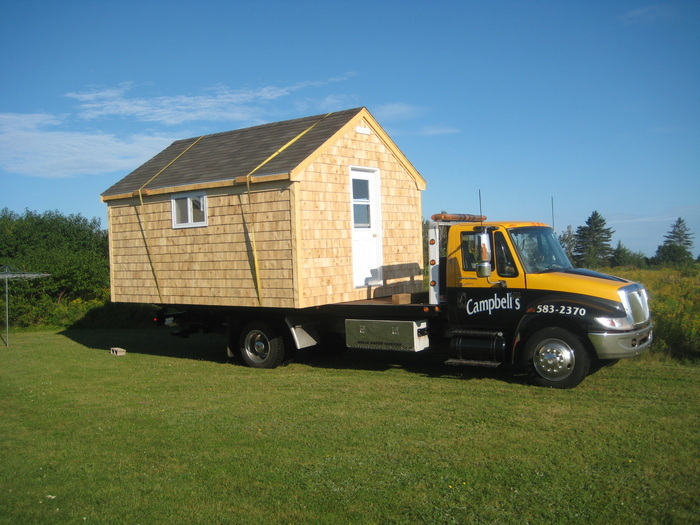 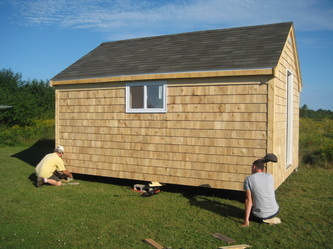 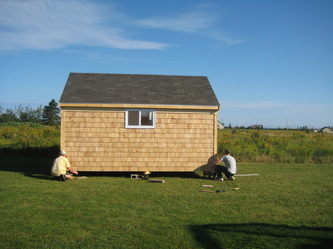 Upon arrival, we gently release your shed, bunkhouse or cabin in the space that you want it on your property. 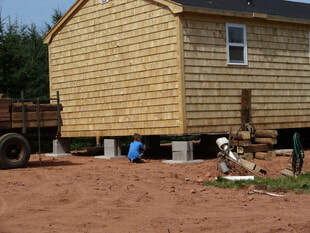 Then we ensure it is level. 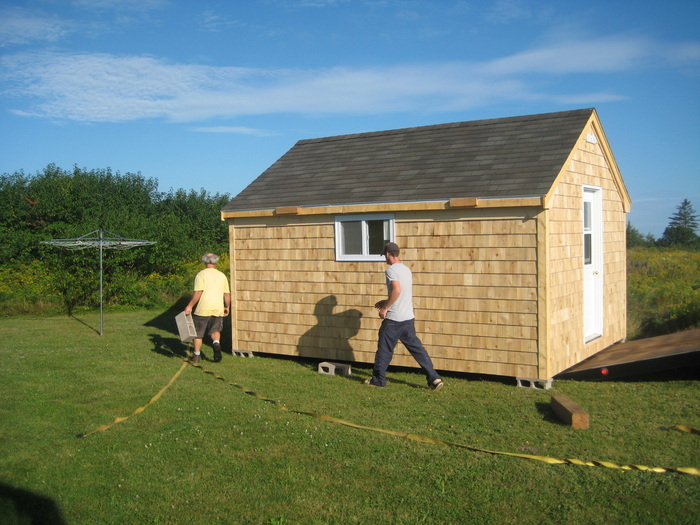 We made a special cabin for Renee because there was limited access to her private wooded lot.